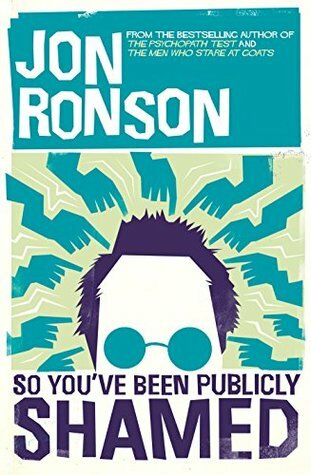 I saw an interview with Ronson. This book seems fascinating and I want to read it. I have seen a lot of this stuff go on with people who use Twitter and have chatted with some targets of shaming. It is frightening and mind boggling. I haven't heard of this book before- it does sound interesting. I like that you enjoyed it and it is thought provoking. Definitely a relevant topic! Brian, it is frightening to read all the victims' perspectives. Jess, thanks for stopping by! I'm not sure I 'enjoyed' it but it was really thought-provoking.